Hi! My name is Megan and I’m a travel addict. Recently I was awarded the Fulbright English Teaching Assistantship for Hamburg, Germany, so I’m brushing off my German major from the University of Oklahoma to go teach! This isn’t my first time to live abroad – I lived in Seoul, South Korea teaching ESL and studied abroad in Graz, Austria during university. I’ve also backpacked through South America and Southeast Asia, and only was robbed once, which might be my greatest accomplishment to date. 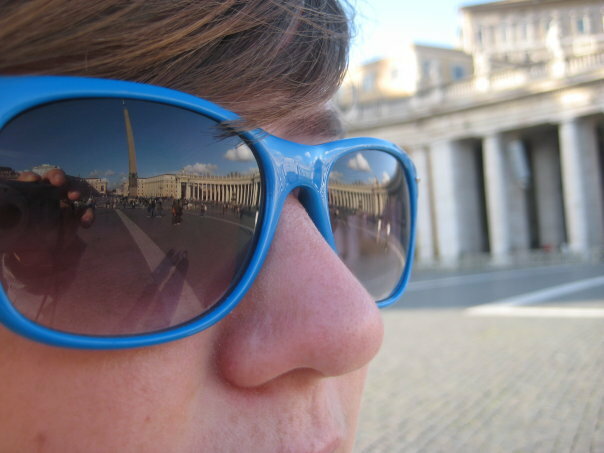 My blue sunnies, a goodbye gift as I departed for Austria, have kept me company on my many travels. This website is to help document their adventures around the world. This blog used to have a lot more posts, pictures, pages – but then the website host ate all of it and the backups. So I’m building her up again, trying to put pins back where they belong. Keep an eye out for new adventures!